"Spring Special Ship Date: April 15!" And now I'll begin my exciting journey with The Reverse Immigrant...."
Just finished your book and it was great. So much history about Sicilia can't wait to go there again, hopefully next year. My favorite chapter was 14, Staring Down the Bad Guy and reading about the Zappala Death Stare. I laughed so hard, it was great. Can't wait until the next book comes out. Thanks Alfred. Here’s Another one! FIGGHIU BEDDU, by Alfred Zappala: For anyone who loves all things Sicilian this book is for you. He will have you traveling the back roads of numerous little and large towns and have you imagining the tastes that he deliciously describes; the scenic views splashed with drops of history will make you ponder. He also lets his reader step inside his heart as he writes about how two different women helped him to heal and love in a new freeing way. Thank you Alfred Zappala! And from my friend and brother, from the Maestro Leonardo Ciampa’s Blog. Alfred M. Zappalà is a father of three and a grandfather of four. His view on life is that everything else after that is pretty much gravy. He holds a law degree and teaches at prominent law schools in Boston. Considered an expert on the bar examination, he has trained thousands of aspiring lawyers to successfully become lawyers. He has authored several books on the bar examination and a screenplay. He also is a dual American-Italian citizen. He introduced thousands to the wonders of Sicily by importing various products from Sicily, including one that was deemed the best in its category at the nation's premier food event, The Fancy Food Show. 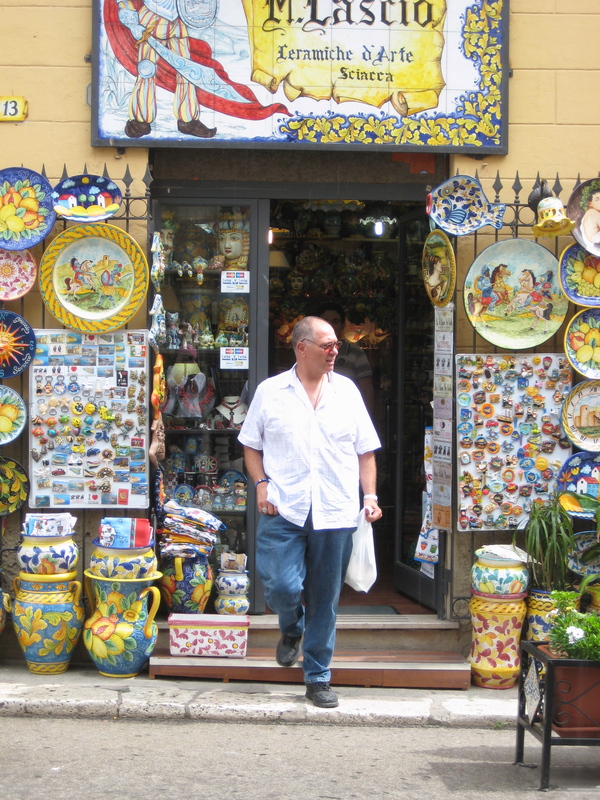 He has posted thousands of times on his popular blog and continues to write of his adventures in Sicily.